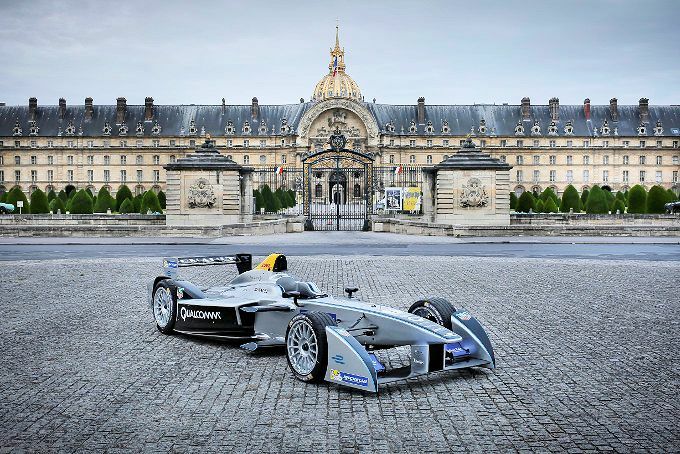 Paris not wildly enthusiastic about its electric Formula E race announced for next year. Also, a quick look at the Panoramastrasse Oberaar, an off-shoot of the Grimsel Pass in Switzerland. And, thanks to a new stretch of motorway across the Hungarian border, Romania’s Transfagarasan is now just a day’s trip from Vienna. But electric racers get lukewarm reception at City Hall. Despite the deputy mayor recently describing an ‘electric F1 race’ in Paris as an ‘oxymoron’, it seems the French capital will host a round of the Formula E championship next year. A temporary track will be built around Les Invalides for the opening round of the series’ second season on 23 April 2016. He hasn’t mentioned the event since on twitter (and neither has Hidalgo). Despite the apparent conflict at city hall, the emission-free Formula E would seem to be a natural fit in Paris. As of 1 July this year, a progressive ban on diesel engines was introduced, starting with buses and trucks built before October 2001. The eventual aim is to remove diesel engines entirely by the end of the decade. At the same time incentives have been introduced to promote zero emission vehicles. The Formula E Championship was launched in Rome in October 2012. However, the planned race never took place following the election of the firmly anti-car mayor Ignazio Marino in June 2013. 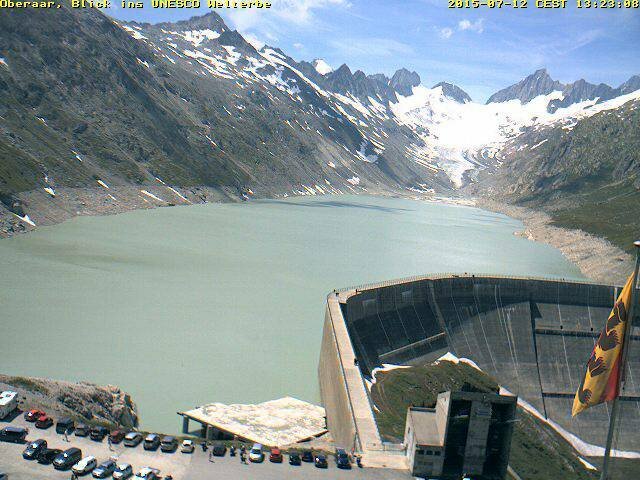 A great webcam view of the Oberaar Glacier, at the western end of Oberarsee, a lake at the top of Grimsel Pass in south central Switzerland. The ‘Panoramastasse Oberaar’ is five kilometre road from the pass and is open only one-way at a time. Each direction has a ten minute window every hour: to Oberaar from 00:00-10 and back at 00:30-40. Overlooking the lake is the Mountain Hut Oberaar, a restaurant with rooms available – up to five berth – with dinner and breakfast from 83CHF per person. Open from July to September. roundup: ROMANIA. ‘Any normal prime minister would be too embarrassed to personally open 20km of motorway. Victor Ponta appears to view it as an achievement,’ said the editor of Bucharest Life magazine Craig Turp on Saturday as the Romanian PM cut the ribbon on the latest section of the A1 motorway, at Nadlac on the Hungarian border. It’s a short but vital section, not just because it smooths the way across the outer Schengen border, with ten lanes in each direction, but also because it links the Romanian motorway network – such as it is – to the European network for the first time. Most importantly for keen drivers – and Top Gear fans – it means there is only 86.4 miles of single lane road remaining on the 1300 miles between Calais and D7C Transfagarasan, Jeremy Clarkson’s favourite road. At just under 500 miles from Vienna, Romania’s blue chip mountain pass near Sibiu is now a day trip from eastern Austria, or – at 345 miles – considerably less than that from Budapest thanks to the new dual carriageway. Transfagarasan’s sister road D67C Transalpina at Sebes is even closer, at 303 miles from the Hungarian capital. The last two sections of A1 in western Romania, plugging the final ninety mile gap, should be completed later this year.